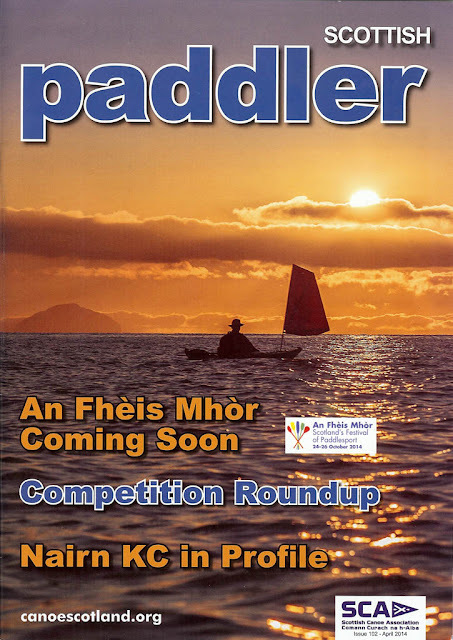 Scottish Paddler, the magazine of the Scottish Canoe Association arrived today. The front cover was taken last winter off the Heads of Ayr. It is looking south to Ailsa Craig with Phil in his P&H Quest and Flat Earth kayak sail in the foreground. We did not land at Ayr until well after dark. Kayak paddle sailing is definitely getting a higher profile here in Scotland. I had provided several alternative action paddle sailing photos but clearly this one caught the editor's eye.